Why are charities struggling to build and launch digital products? 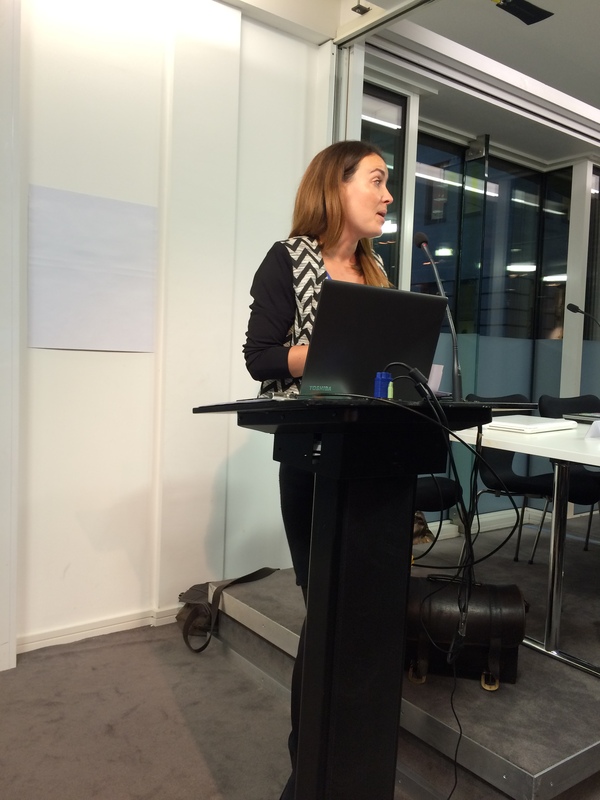 This week I was privileged to keynote at the NESTA Impact Investment team’s Going Digital launch with NESTA’s Katie Mountain and Isabel Newman. Katie & Isabel asked me to speak because of my fairly unusual perspective – a tech entrepreneur who’s actually worked recently on a revenue generating digital project launched by an established charity. Earlier this year I was lucky to spend 4 happy months at vInspired, working with Sam Sparrow, Hannah Mitchell & Damien Austin-Walker getting awesome microworking platform Task Squad finessed and launched. This blog covers the key elements of my NESTA talk without the personal anecdotes and side stories I included on the night. I should also just add a point of clarification here. This blog is about charities/CICs/social enterprises launching revenue generating digital products and services; it isn’t about making charity core business more digital. You won’t be surprised to hear that I have a view on that as well, but that’s for another day. 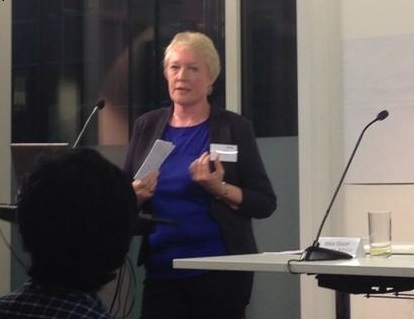 It’s also not about my specific experiences at vInspired – it’s more generic observations across the whole sector. I’ve been a charity trustee myself for well over 10 years. At first glance, established charities appear to be ideal environments from which to launch digital products. They are crammed full of bright people with tons of good ideas, despite what they say they have more money to invest in product development than most startup businesses, they have a deep understanding of their target market and there’s lots of goodwill towards them, there’s existing infrastructure in the charity for the project to draw from (finance, office space, marketing & PR, etc) and they have easy access to politicians. So what’s making it so hard? The best startups are said to be those that are “scratching an itch”. The entrepreneur sees a gap in the market and develops a product or service to SELL into that gap. The entrepreneur begs, borrows and steals seed funding and assembles a team focused on getting that product or service built and to market as quickly as possible. Money is frequently the key driver but money also qualifies early market interest in the product. Private sector success is often determined by getting to revenue in lightning speed & “owning” that niche before anyone else does. The founder or co-founders have probably had to put their houses up as collateral to raise the seed funding. The team eats, sleeps and breathes the project. Everyone’s under a lot of pressure. Often an unhealthy amount. Despite this, 80% of tech startups fail in their first 18 months according to Forbes (we’ll return to the 5 top reasons for failure at the end of the blog for anyone that’s interested). Charities simply do not work at this pace – but the private sector SMEs they’re competing against do. That’s a challenge. The second part of this point is that the startup begins with a blank sheet of paper. For charities, many are creating digital projects to diversify away from dependence on government grants or to simply boost their income when other sources are drying up. This is a different type of driver. They are trying to do something that’s well outside their core business. They say that building a tech startup is like jumping off a cliff and assembling the plane on the way down. You need your team to be focused and on it. In charities, the digital project is often something people in the team are doing as an addition to their original day job. Working on projects part time is far from ideal and just doesn’t work. One of my conditions upon joining vInspired was that I would only undertake activities where I added value to the Task Squad project and did the things that other people in the team couldn’t do at that time. I stayed away from all-staff meetings, writing reports for trustees and so on. In my experience, many charity CEOs are very entrepreneurial. They’re also swamped with a million different things. Senior teams and trustees can be very risk averse. Back to that 80% failure thing – this is a high risk and uncomfortable place to be where you have to allocate money and time to something that probably won’t fly. Many charities are only engaging with this process because they are desperate to generate new income. Funders and sources of finance like NESTA, the Nominet Trust, the various social angel groups, will invest in certain projects but they expect to see the charity provide match funding, especially if it has reserves. This puts constant additional pressure on the startup project team as they are under non stop scrutiny and find themselves fielding questions from people in their own team unfamiliar with this territory and expecting to see results fast. For the people in that startup project, the “us” and “them” is very tricky. At least in a private sector startup you’re all working on the same project. In my view the best digital products start out on a shoestring budget. That way the team is more creative and it’s less of a big deal if the project fails. A few people when they heard I was giving this talk lobbied me to say the issue for charities in building and launching digital products is lack of money and resources. I’m afraid I disagree. A large budget can lead to laziness, excessive outsourcing and maybe a “build it and they will come” product. Back to the trustees. Often they meet infrequently but they’re the people who approve and sign things off. This doesn’t sit well with agile development, pivots and product iteration. All startup projects pivot. Getting the trustees into a place where they are comfortable with the risk involved and buy into the match funding element is definitely a challenge, but without it projects are not investor ready. I understand the reasons why charities do this but it’s an additional overhead that other startups just don’t have to deal with. In an early stage private sector startup, decision making sits in the hands of one or two people. They have authority to do what they like. It’s their money. Decisions are made quickly and based upon imperfect data and information. Things move at pace. There are no reports to write, the list of KPIs or metrics monitored in the early days is short or non existent, there’s no-one else to keep in the loop, social impact isn’t measured. A charity tech project has to do all of these additional tasks on top of build and ship. Pace is the single most frustrating aspect of working in a charity that I experienced. That and having to book meetings with people you can see across the room & who you just want to speak to for two minutes – because that’s how things are done. The structured environment slows everything down. Charities have great people. Sam Sparrow who leads vInspired’s Task Squad project is one of the most impressive and talented people I’ve ever worked with in any business. There’s been a terrific drive to get a lot of charity team members onto and through accelerator programmes. What charities are bad at doing is allowing their newly trained intrapreneurs to be responsible and accountable and just to get on with things; especially with people that are considered to be “junior”. Structures are hierarchical where they need to be flatter and more matrix or project driven. In a tech startup, the most appropriate person is allowed to get on with what they’re good at within clear and agreed parameters. I’ve found that in charities, the decision making boundaries are sometimes unclear and this is one reason why the CEO and trustees end up as bottlenecks. On top of this, there’s a Europe (world?) wide shortage of digital skills, developers and people with good commercial skills and there’s a great deal of competition to attract the best talent. Because these skills are in short supply, the people taking important decisions may not be properly equipped to do so – especially about digital. This results in poor commissioning and bad management of suppliers. I’ve probably just scratched the surface here and am very conscious that I’ve put forward an awful lot of challenges without many useful solutions. 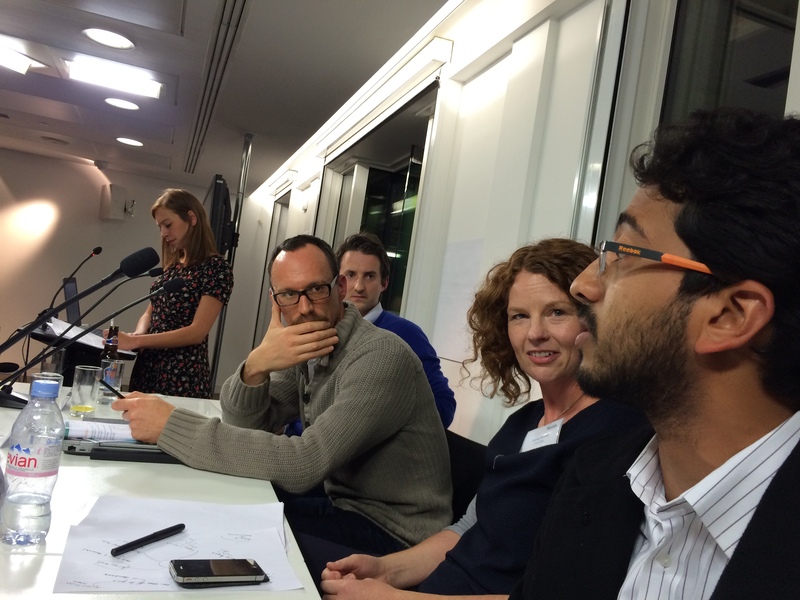 Fortunately, on the night there was an expert panel present (Kieron Kirkland of Nominet Trust, Mike Dixon of CAB, Emma Thomas of YouthNet and Shreenath Ragunathan of Google) all of whom were able to voice their own very practical advice on how the sector can improve in this space. Lack of deep market knowledge – know your audience! Lack of USP or the ability to properly articulate it – market test your idea, work on your messaging and remember that some ideas are just bad ideas. As always I am very much looking forward to your comments on this rather long blog. I hope we can have some useful and positive narrative about what we can all do to make this better because frankly, we really need to. If you have any questions for me about any of the above then please get in touch with me or post your questions up in the comments section for everyone to read and I’ll do my best to answer them.